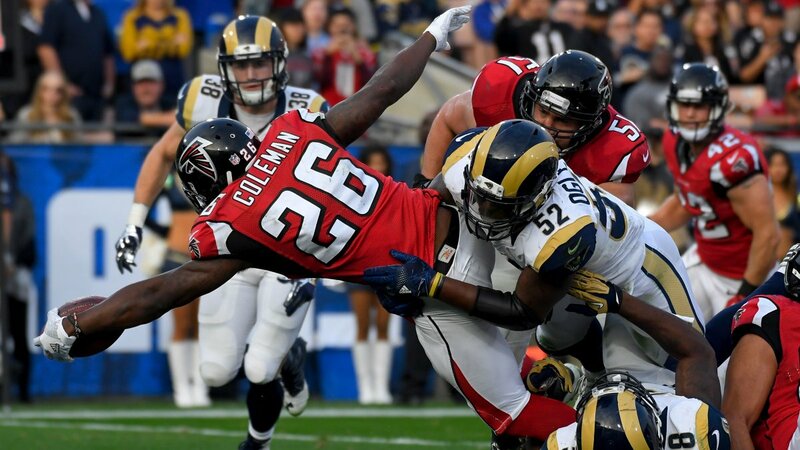 As cliché as it sounds, Saturday’s NFC Wildcard game between the Atlanta Falcons and Los Angeles Rams is really a tale of two teams (Charles Dickens would be proud). In one, you have the defending NFC Champion. In the other, you have the new kids on the playoff block. It’s the postseason veterans versus the young upstarts. The Falcons looked like they might fall victim to the Super Bowl curse this season. But they got it together when they needed to most and took down the Carolina Panthers in their regular season finale to earn their spot. Nothing was expected of the Rams when the season began. But head coach Sean McVay was able to get through to the team’s prize quarterback. Between McVay’s influence and all the wide receiver help the team acquired, Jared Goff looked like someone worthy of being a No. 1 draft pick. But even the most talented young players can struggle under the weight of playing in the postseason. However, the Falcons proved in the Super Bowl that veterans could falter as well. So, when these two meet in Los Angeles Saturday– who’s going to win? For Los Angeles, the plan of attack is simple. 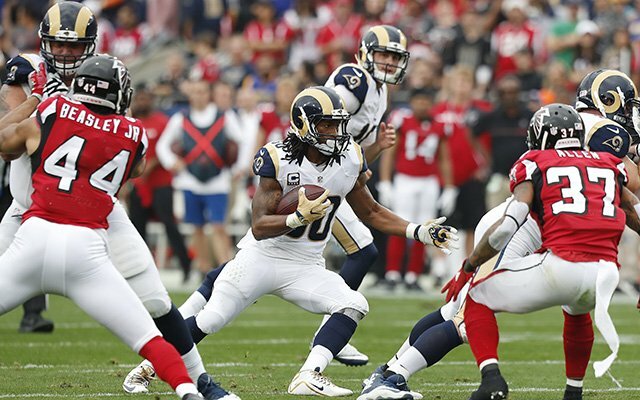 Use Todd Gurley to make the Falcons defense as predictable as possible. When Atlanta starts to focus on stopping him in the run game, Jared Goff starts throwing darts to Robert Woods, Cooper Kupp, and Sammy Watkins. When the Falcons shift priorities and try to disrupt the vertical passing game, then Goff starts dumping it off to Gurley in the flats and on screenplays. That’s how you go about averaging an NFL high 29.9 points/game this season. There is just one problem with that plan. The Falcons have a pretty good defense; better than what the Rams have. Atlanta was No. 9 during the regular season against the run (104.1 yards/game allowed). During the season, they were 7-1 when they managed to hold opponents to under 100. The last time a team did rush for 100+ yards as back in Week 13, a 14-9 loss to Minnesota. The Vikings totaled 105 yards on the ground that day. Of course, holding the No. 8 rushing game (122.1 yards/game) to under 100 will be easier said than done. However, the Rams passing game is also in the top ten in the league (239.4 yards/game). So, stopping Gurley is not necessarily going to stop the Rams from putting up points. Atlanta’s best chance to do that would be to just keep them off the field. But that may be hard to do. Throughout the season, the Falcons have had some issues with continuity on offense. During several games, it was not clear what new offensive coordinator Steve Sarkisian was trying to get the Atlanta offense to do. He appeared to want to establish the run at all cost. With a pair of running backs like Devonta Freeman and Tevin Coleman, it is not hard to understand why. However, in the process, he often didn’t utilize his two best players, quarterback Matt Ryan and wide receiver Julio Jones. Atlanta tends to win when the can hold opposing running games to under 100. The Rams have not lost when Gurley has run for 100+. So, it is safe to say the Rams are going to focus on establishing him and the Falcons stopping him. If Atlanta can do just that and establish their own run game against the Rams weak run defense (No. 28; 122.4 yards/game allowed). Should they succeed and keep the Rams offense off the field, they could steal a win. But the Rams are favored by 6.5 points and will likely win by at least a touchdown. Atlanta’s defense is much better than last season’s group, but the offense has gotten worse. Matt Ryan will have some success against the Rams defense but not too much (or enough).